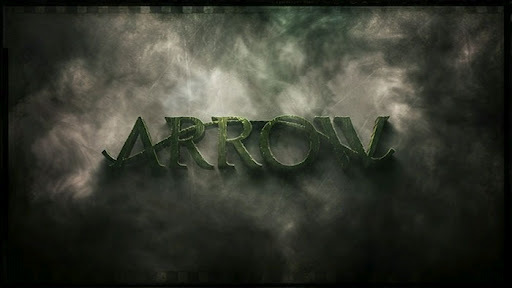 Back of the Head: Arrow 1x13 - "Betrayal"
"Betrayal" is Katie Cassidy's favorite episode and it's obvious why. Plenty of Laurel in this one as her secret relationship with the vigilante comes to a head. Laurel gets used as bait by her father Detective Lance to trap the Hood, is attacked in her apartment by hired goons, defends herself admirably (she must have gone to the Lois Lane School of Self Defense Against Thugs), falls for the ol' taser in the neck, is held hostage, and is saved by the Hood and her dad teaming up. Tommy also finds out that Laurel and the Hood have been in crime fighting cahoots for months and doesn't take the lies he was told well, which he relates to Oliver, who then lies to his face. Perhaps most importantly for my long term enjoyment of this series, Laurel has Thea starting up as her full time intern (community service hour one of five hundred), and there's another hot woman now working at her firm. This place is turning into the Hottie Law Offices of Laurel Lance, Attorney at Hottie Law. David Anders, the guy who played Adam Munroe on Heroes, is this week's villain, fresh out of prison and out to make a name for himself by taking out the Hood, the guy every criminal's afraid of. After the Count last week, he's pretty bland. He bragged to Laurel about the army of machine gun-toting ruffians he assembled to kill the Hood while we watched in amusement at how easily the Hood took them all out. The funniest stuff was the first time the Hood broke into the compound to spy on him with his Listening Device Arrow (which he left behind). The Hood calls up Laurel to offer what intel he learned and said "he couldn't do much". Well, besides kill four armed guards. (Oliver kills a lot of people this week; body count wise, this is probably the most murderous Oliver has been.) Prior to that Laurel told the Hood of Anders' location, that he's living in his lawyer's house and his lawyer disappeared. "There was no foul play", Laurel said. Except for the body bleeding all over the foyer after Anders stabbed him! And if the person has mysteriously vanished, there's probably foul play, Laurel. On a similar vein, Diggle once again scored the line of the night, when insisting to an obstinate Oliver that they investigate his mother Moira's involvement in all this mystery and deceit going on with the List. "I tend to believe the innocent party is whoever's missing." Oliver is a lot more concerned with believing Moira is innocent than, say, showing any interest in investigating Walter's disappearance, but Diggle is not playing the Moira's innocent game. Diggle decides to chauffer Moira around so he spy on her, and he even pulls a high tech version of the famous story of Jay Leno hiding in the closet to listen in on the NBC executives debating whether to give The Tonight Show to him or David Letterman. Diggle gets the incriminating evidence he needs, and it really helped how forthcoming Malcolm Merlyn was for Dig's audio recording, like handing her a piece of paper with an address and then making a point of saying out loud it's the address where the Queen's Gambit's remains are warehoused, that the yacht was sabotaged, and he'd like her to get rid of the evidence, please. Moira also wasn't shy of criminal-like verbiage like "not needing to make the usual threats". On the Island, Oliver finds a crashed airplane's remains, and we all get really confused about whether he is actually on Lost. Oliver meets Slade Wilson, who we find all sorts of things about, like that he and Yao Fei were working together and he claims he also has another partner who wears the mask of Deathstroke. Slade wanted Oliver to help him take an airstrip on the Island ("it takes two of us to take the airstrip." Only two? Huh.) but finds Oliver isn't really a soldier, just the kid who got marooned on the Island, and totally lacks sword fighting skills. So Slade beats Oliver up and ties him to a chair, but is mighty impressed when Oliver pulls the Martin Riggs Lethal Weapon 2 separating his shoulder trick to free himself. Not sure why Slade is lying about being Deathstroke, but now he's going to train Oliver. After all, he needs Oliver to take that airstrip. Forgot Diggle's hilarious line suggesting the Hood and Moira should have an "arrow-side chat". Sure enough, that's where we ended up in our cliffhanger.